So I meant to post this Monday, but I’ve been having some kind of creative block lately that makes it hard to focus and settle down long enough to write a blog post. 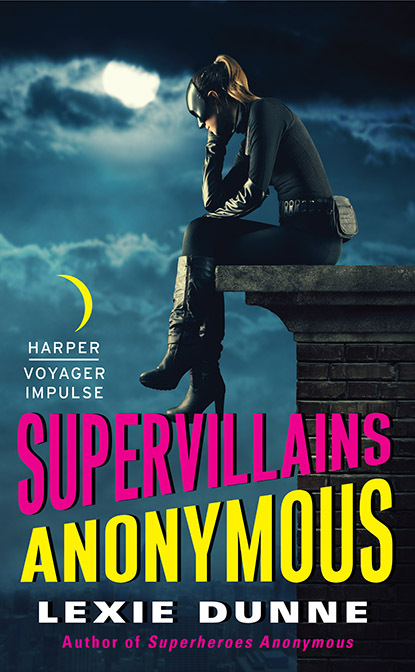 The release day for SUPERHEROES ANONYMOUS draws nearer and nearer (20 days/27 days! ), which is thrilling and exhausting and exciting. I can’t wait to see what you all think of the book. 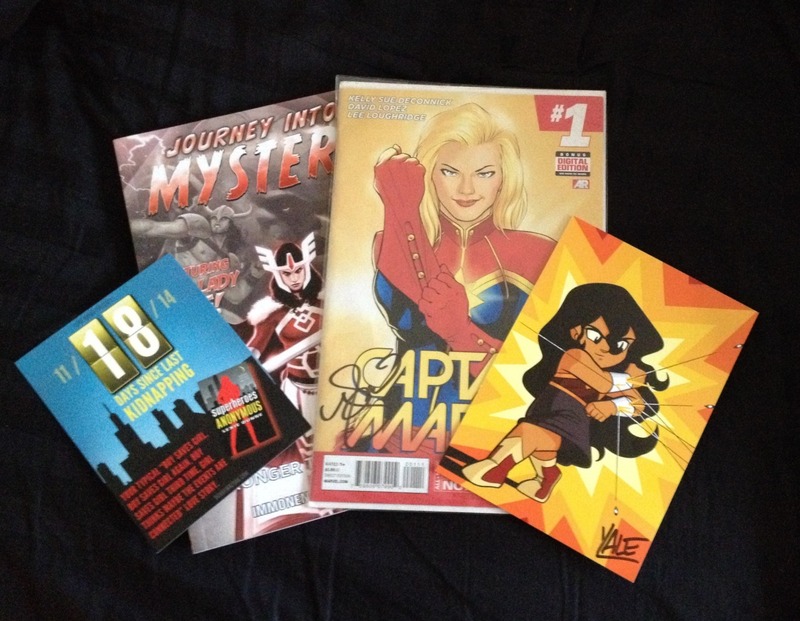 I HAVE A NEWSLETTER GIVEAWAY! Right now, until November 3rd (it was originally October 27th, but thanks to my own laziness is now November), you can sign up for the newsletter and enter a survey to win this awesome mug. Why are you not doing that? At this point, I might have to give it to mxpw. DO NOT LET MXPW WIN THIS MUG. 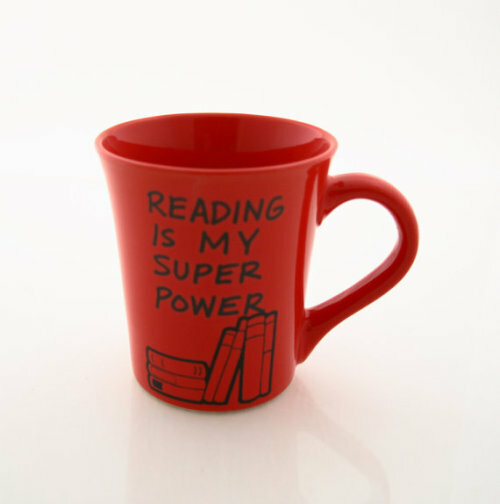 Sign up for the newsletter and try to get the mug yourself! I HAVE ANOTHER GIVEAWAY! When I was at NYCC, I got to meet one of my heroes, who turned out to be even more amazing. 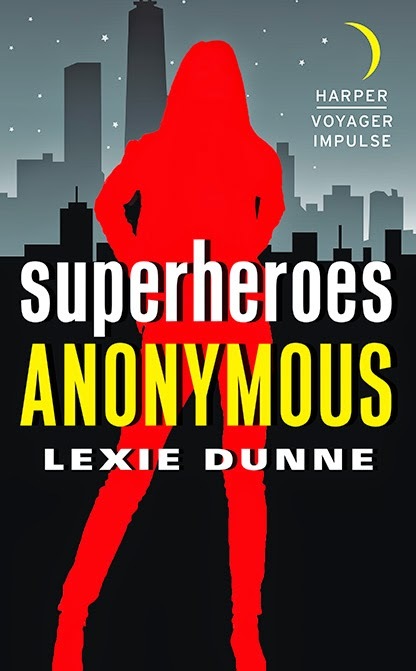 So to celebrate, I’m doing the “I’ll Save Myself, Thanks” Tumblr/Facebook giveaway, which includes all of the beautiful merch you see here, as well as a free download of SUPERHEROES ANONYMOUS. 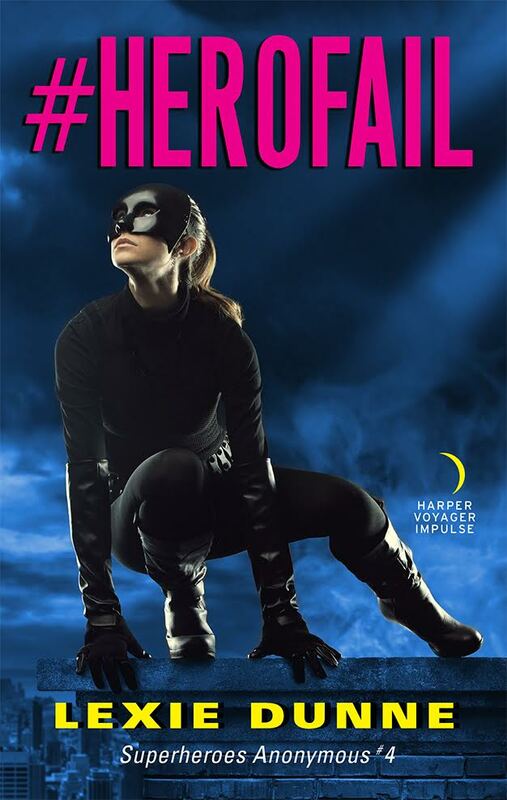 It’s called I’LL SAVE MYSELF, THANKS, and it’s all my favorite superhero ladies (including Gail Godwin). But Lexie, you say, if you’ve done all this, what more could possibly go on the blog? What’s this big event you’re talking about? That’s right! We’re going nuts for caped crusaders for 20 days! So what does that mean? It means playlists! It means more giveaways (geez, Lexie, cool it with giving away all of your stuff; don’t worry, I’m keeping the dog)! 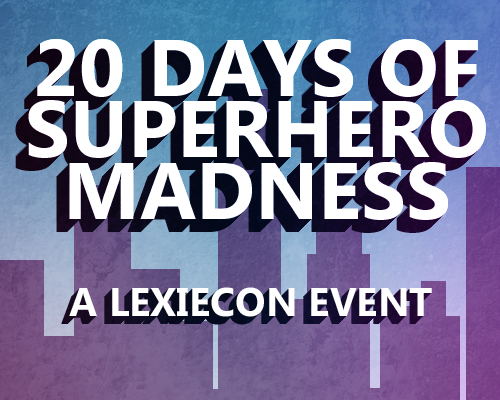 It means character profiles and guest bloggers, and a celebration of the greatest superheroes in our lives, real and fictional. I’ll have goodies and graphics, anecdotes, and I am not kidding when I say it’s going to be amazing. Everything will take place on the LexieCon, this very fabulous purplish blog of mine, but I’ll be linking to things 8tracks and Facebook and Instagram and Twitter. So if you’ve got social media, you should follow me and tell your friends to do the same thing. Tell them about the book. Tell them it’s the greatest story they’ll ever read. You might be lying, but joke’s on them: they have to get to the end to prove you wrong. Tune in tomorrow to see! …Uh, today is just an announcement. I am the worst. But if Marvel can have an announcement and send the interwebs into a crazy, dizzy spin, SO CAN I, DAMMIT. So let’s all put on our Captain Marvel hoodies, link arms, and cry on each other because CAROL DANVERS MOVIE IN 2018, EVERYBODY. See you tomorrow for the real festivities!! I'LL MAKE SURE MXPW DOESN'T WIN THE MUG, LEXIE :D All because of you, muahahaha! 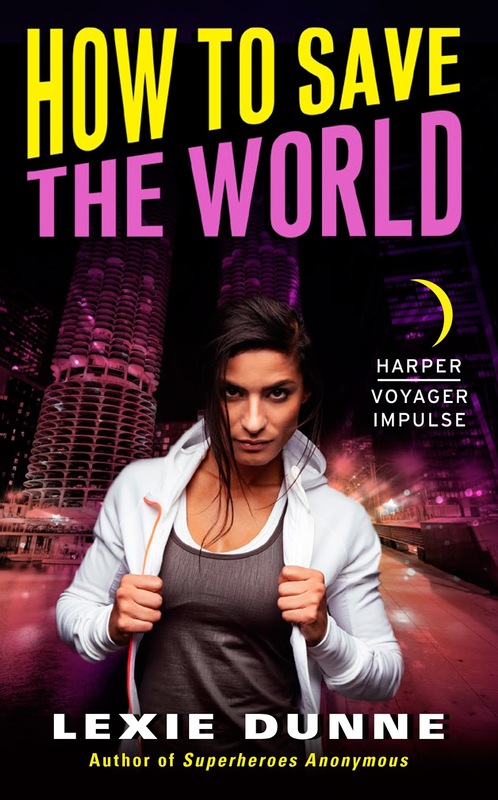 Can't wait for the book to hit my nook! I can't wait to see you two duke it out. Please let it be with fic about penguins and orcas. ;) You rhymed!